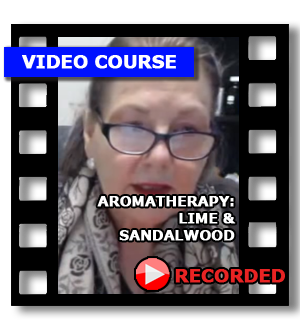 By the end of the course you will be able to work confidently with Lime and Sandalwood pure essential oils with ease and grace. For dates and times of the future LIVE courses see here. The course is presented through a recorded YouTube video broadcast where you can interact with Margie via online comments if you have any questions - responses may take a day or so. You will need to register for a Google+ Account to facilitate this. Details of how to register will be forwarded to you.